These are some of my sketchbooks from the last few years. This is the foundation block of both the drawing and the writing that I do. 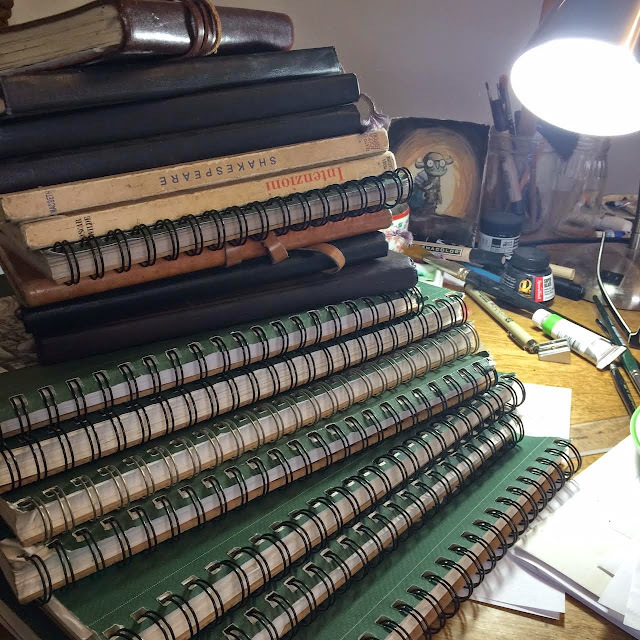 I thought of posting these because my friend Lucy Bellwood posted a similar picture of a stack of sketchbooks saying "Creativity is a habit. Don't you forget it." She's right. And it's good to see, sometimes, how much work goes on behind the scenes and below the surface.